Steiff Benny Border Collie Discounts Apply ! Made from the Finest Black and White Mohair, made for the worldwide Market. He’s a lovely addition to your collection along with the fellows terrier, hexie the jack russell, treff the west highland terrier, and foxy Fox Terrier. 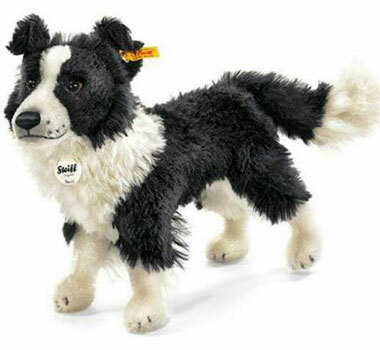 Benny Border Collie is part of Steiff's 2010 Exclusive range.